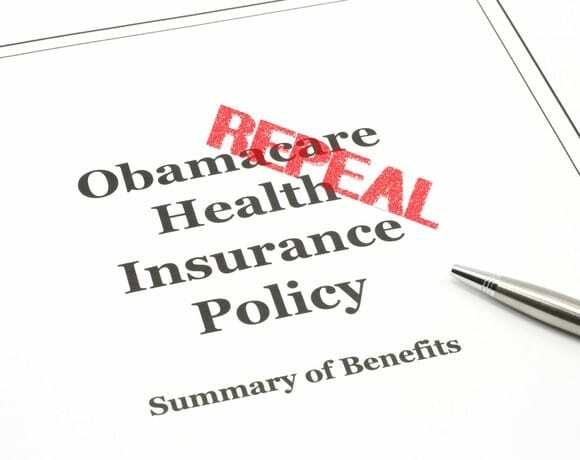 GALION — The possible repeal and replacement of the Patient Protection and Affordable Care Act (ACA), also known as Obamacare, is a hotly-debated issue. While several members of Congress have stated the ACA will be replaced as soon as possible, President Donald Trump stated over the weekend that it may take a year or two for the Republican majority Congress to come up with a plan to replace it. Local residents recently weigh-in on their opinions of the ACA. Galion resident Julie Sargel said that she looks farther than the price of some of the policies available. Gary Miller, a Bucyrus resident who delivers mail in Galion, would like to see a single payer plan put in place. “Single payer has always been the way to lower the cost of health care,” he said. Miller said there are two pieces of the ACA he hopes are kept when and if it is replaced. “The two greatest things about the ACA……the ability to keep your children on your policy until the age of 26 and insurance companies not being able to deny coverage for pre-existing conditions,” he said. Galion resident Laina Vanbuskirk said it should not be repealed. “But I do not agree with forcing someone to get insurance or get fined if you do not. It should be a choice,” she said. Don Winfield said his friend had a heart attack and stroke in 2013. “He could no longer work. Within 90 days, his employer-provided insurance ended. He didn’t know about ACA and shortly he had spent his savings on doctor bills and medication. When I became aware of his situation, I took him to get hooked up with insurance. Through ACA, he received complete coverage, including pharmacy, dental, and optical, for $134.00 a month. That, he could afford on his Social Security Disability coverage,” said Winfield. Lexington resident Tony Theodorou said he thinks there are good and bad parts of the ACA. “Repealing would be a bad move. However, if it can be modified this would be most beneficial. I just feel like the pre-existing condition aspect is far too important and should not be removed,” said Theodorou. Brandon Dunford, of Crestline, said he does not understand why many Americans want to see the ACA repealed. Bucyrus resident Maggie Barth said people complained about their insurance premiums before the ACA went into effect. “Our companies and local governments complained about the premiums and the high rate increases each year. We complained about not having coverage for pre-existing conditions and the way the insurance companies were finding more ways to deny coverage by tying more things back to preexisting in order to not cover so much. Then came the fights over passing the ACA and I asked anyone who was worked up about it, when did we ever love our health insurance,” said Barth. Randy Fullenkamp said he has family members that pay a fine rather than signing up for the health insurance available on the market through the ACA. Bucyrus resident Logan Beeman said it will be impossible for Congress to gut Obamacare to only keep the pieces of it that the majority of people enjoy, such as coverage for pre-existing conditions and children up to age 26. “It appears like a lot of people seem to want to gut Obamacare, but keep their favorite parts, allowing children to stay on until 26 and the elimination of pre-existing conditions, but that’s not how health insurance works. If there is no mandate, then the only people who will buy insurance are those who are sick, and premiums will skyrocket. Republicans keep talking about not getting rid of Americans’ favorite parts of the ACA, but they know that’s impossible. It’s simply paying lip service,” she said. Beeman said the answer is and always has been single-payer. According to Eric Draime, CFO of Avita Health System in Crawford County, there also are pros and cons of the ACA for hospitals. “In Ohio, the Medicaid program was expanded, which had a positive impact on hospitals as it allowed hospitals to at least get reimbursed for services that would have likely been given away as free care in the past for those individuals that qualified for Medicaid due to the expansion,” said Draime. Draime said on the downside, the concept that there are a lot more people that have, or have access, to insurance is true but misleading. “The plans that they are purchasing have very high deductibles and providers are having to write-off these deductibles as many patients are unable to pay them. So, the concept that they have insurance is only real if they meet their annual deductible, often $5,000 to $6,000, which is when the insurance coverage actually kicks in,” said Draime. Draime said that there has not been an onslaught of patients trying to get medical procedures done before anything happens with the ACA. “I think we could see that happen once more is known about the replacement for the ACA and when it will be put in place,” he said. For people like Kirk Miracle, the wait to see what the new president and Congress will come up with is an excruciating one.